Last summer Absolut launched the Drinkspiration iPhone app. The mobile Drinkspiration app aimed to be the perfect going-out bar companion, but this has now been re-imagined for the iPad, with the Absolut iPad Drinkspiration app aiming to be the ideal at-home entertaining tool. 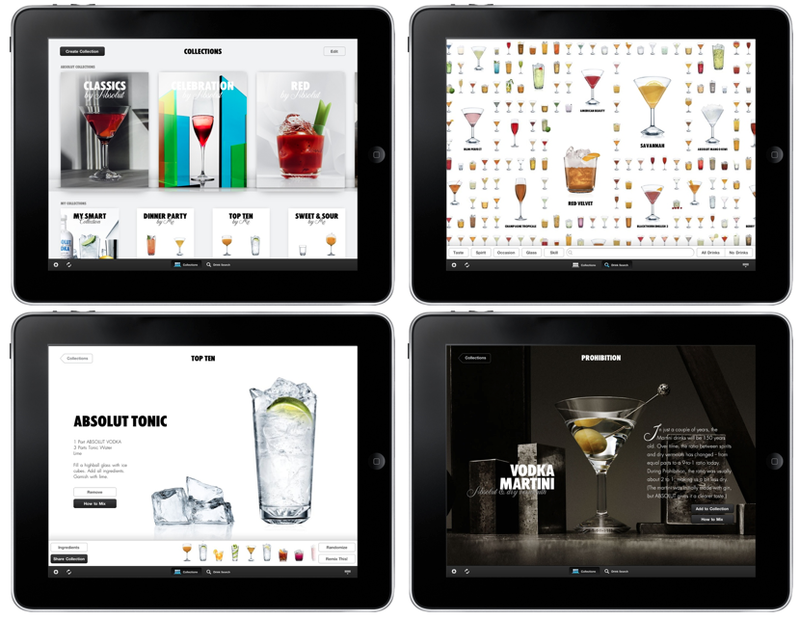 The Drinkspiration iPad app is free and details more than 3,000 drink recipes, has six pre-installed drink collections, offers drink suggestions based on ingredients and even has 'how to' videos. Furthermore, the Drinkspiration iPad app offers the opportunity to share through social media platforms and even has a shopping list creator! This sort of glossy, functional and useful content seems ideal for the iPad - it's the sort of thing that wouldn't work on a PC, but sits well on a tablet. It is also interesting to see how an iPhone app has been re-engineered to suit a different context - iPhone on the go vs iPad in the home. Is this the shape of things to come?